Piyo Piyo USA: Piyo Piyo USA, a company dedicated to making safe, functional, innovative baby gear products, offers everything from baby care and feeding, to nursery, toiletries and toys. 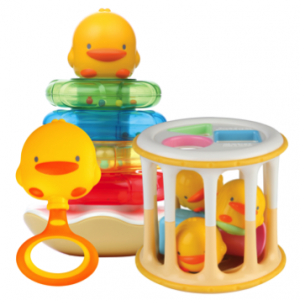 Featuring the Piyo Piyo Rocking Rattle Stacker, Rolling Barrel, and Duckling Rattle, the Piyo Piyo Toy Gift Set will be sure to make your toddler smile this Christmas. Chewbeads: Is your infant attached to your hip and your jewelry? For those with babies at home, we know that your little ones tend to put everything in their mouths including our jewelry. 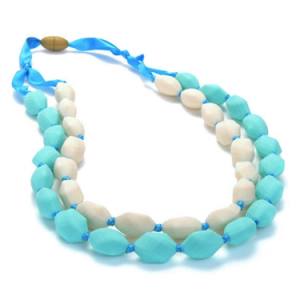 Chewbeads are the perfect gift for any new mom because these trendy statement pieces not only pair well with your outfits, but are safe on your baby's gums and emerging teeth. Let your worries melt away this Christmas with these safe, non-toxic Chewbeads. Jungle Bowling Set: Giggle, an online shopping destination for new parents, has created a perfect everyday baby essential your child is sure to enjoy. 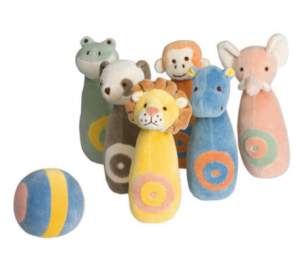 This jungle bowling set is organic and free from toxic chemicals. Air Angel Air Sanifier: What are the germiest culprits in your home? The answer: countertops, carpeted and tiled floors. Counters and floors are in constant contact with our little one’s favorite necessities. There’s been little done to combat this problem, in a world filled with emerging technologies, why is the only solution to use harsh chemicals to fight these germs? That’s what inspired Air Oasis to create the Air Angel. 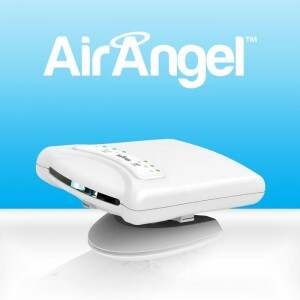 The Air Angel’s revolutionary, energy-efficient technology fights germs by cleaning and sanitizing the air in rooms up to 250 square feet, including nurseries, bedrooms, playrooms, hotel rooms, cars, planes, and more. The Air Angel goes a step further than just being an air purifier, it also sanitizes the rooms that your little ones frequent, ensuring that the air they breathe and the surfaces they (and their favorite necessities) touch are germ free! The holiday season is one of the most anticipated times of the year. Toys are designed to be enjoyed, and choosing safe toys during this time of year is the best gift any parent can give to their little one.